1. Your favorite song is likely associated with an emotional event. 2. Music impacts your perspective. This one seems kind of obvious! A study at the University of Groningen showed that music has a dramatic impact on your perception. 3. The more you spend on others, the happier you are. According to various studies. Be sure to give plenty this holiday season! 4. Spending money on experience instead of stuff also makes you happier. Collect memories not things, right? 5. Kids are more high strung today than the average psych ward patient in 1950. Which is pretty scary but not surprising. About half the human population now suffers anxiety, depression, or a sort of substance abuse. 6. Certain religious practices lower stress. “The American Psychiatric Publishing Textbook of Mood Disorders” shows that people who engage in meditation and prayer religiously are less stressed out. 7. Money does buy happiness, but only up to $75,000 a year. For the average American, $75k a year buys happiness. It liberates you from poverty and gets you what you need in life. 8. Being with happy people makes you happier. 9. 18 to 33 year olds are the most stressed out people on earth. Family, education, work, it can all be pretty stressful. 10. Convincing yourself you slept well tricks your brain into thinking it did. Thus giving you more energy. They called it “placebo sleep”. 11. Smart people underestimate themselves and ignorant people think they’re brilliant. It’s called the Dunning Kruger Effect, it’s real, and just go on Facebook and you’ll see what I’m talking about. 12. When you remember a past event, you’re actually remembering the last time you remembered it. Alright, that one blew the hell out of my mind. This is why our memories fade and distort over time. 13. Your decisions are more rational when thought in another language. A university of Chicago study showed that Korean citizens who thought in foreign languages reduced their overall bias. Neat. 14. 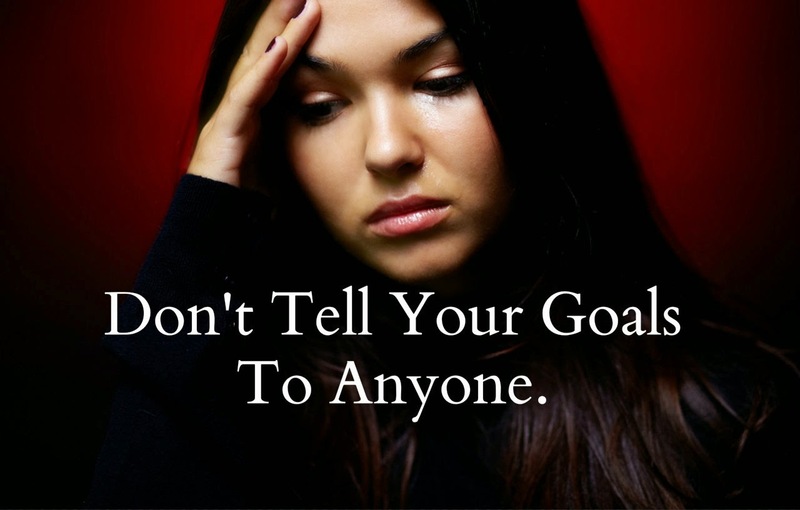 If you announce your goals, you’re less likely to succeed. It’s true. Tests since the 1930’s have pretty well proven it.